Tyle ślicznych kwitnących kwiatów w listopadzie jest bardzo miło pooglądać. Pozdrawiam. 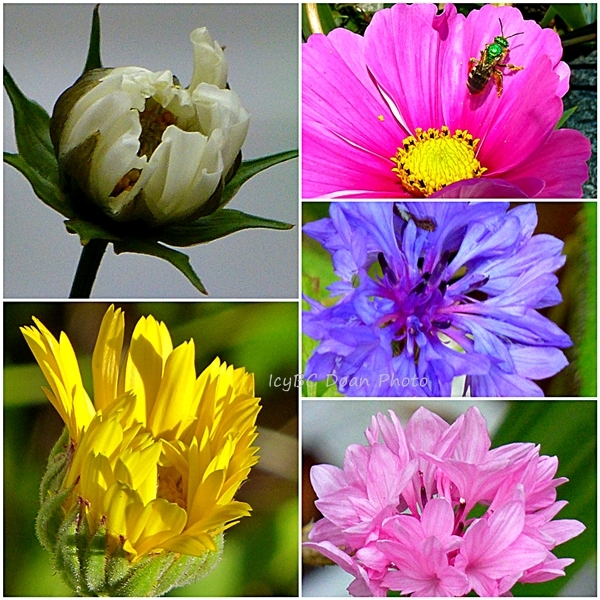 So many pretty flowers blooming in November is very nice to watch. Yours. Wow - what luscious colours! oh, just so pretty, I am so lost what to say since I know I have said that already so many times, but they always bring a joy my way. Such vibrant colour in those beautiful flowers. The Dollar Store! You hit the jackpot! They are just gorgeous! They are all stunning and so colorful. And, still in bloom, that is amazing! I think that dollar investment certainly paid off! Here in Jaipur the hot summer temperatures ( it reached 109 once ) have given way to tolerable weather. I leave in a week. Can't believe five months have flown by. I am sad...hope to come back to India in May, after my first grandchild makes his/her debut, probably Mumbai again.